Date: 09 March 2014. Stages of Life. There are distinct stages of life we all pass through and often the middle stage takes such precedence that future enjoyment is curtailed. That's a mistake and there is a remedy -- albeit slightly painful in the beginning. When we were young we lived under the rules of our parents. Finally, I hesitate to call it maturity, but at a certain point our culture says we're grown and out we go into the world. Of course all are going to correct the mistakes they made. We'll be smarter than our parents were! 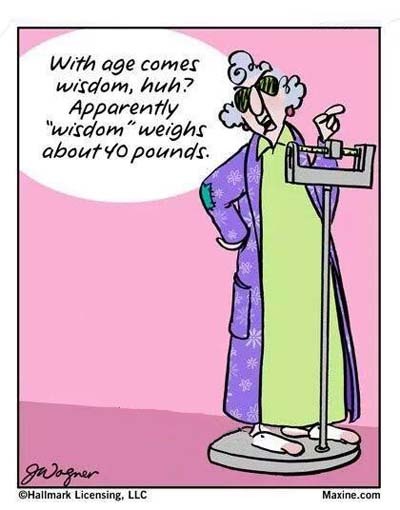 Hallmark Card's Maxine has it right! Then we fall in love and begin raising our precious children, making new mistakes that they will no doubt endeavor to fix when they are grown. But in the meantime we are fully enmeshed in the Hunter-Gatherer stage. Perfectly good money is spent on do-dads, knick-knacks and Stuff. The new cars, nice furniture, vacations in paradise, big houses, private schools, dinners out and fabulous toys for our darlings -- all the things society says we need. But eventually the fledglings leave the nest and we are left with a house full of responsibilities and perhaps a desire to find "more". The more you get, the more you got to take care of. Alice K. Dormann. Possessions are a double edged sword. Yesterday afternoon I was speaking with a friend along the coast who bemoaned that he still couldn't drop the dock lines and leave. I asked how many shirts he had and heard a embarrassed chuckle. When I suggested he wear and then throw away the shirts he didn't particularly like, he was appalled. He *said* he would rather take them to a thrift store and donate them. Yet he had not done so -- not in years. And I'll bet if he saw a shirt he liked tomorrow, especially if it was on sale, he'd buy it. Another friend found a bargain and bought 175 (yes, you read that right: one hundred seventy-five!) tuxedo shirts that fit him. Wonderful. Tom is not young and he could wear and throw away a shirt every day for half a year and I'll guarantee his lockers will be stuffed to the brim. It's no bargain if the possession of same is preventing you enjoying the life you want. Now Tom does have a 27' Morgan and says he wants to go cruising. I hope he makes it too, and soon. 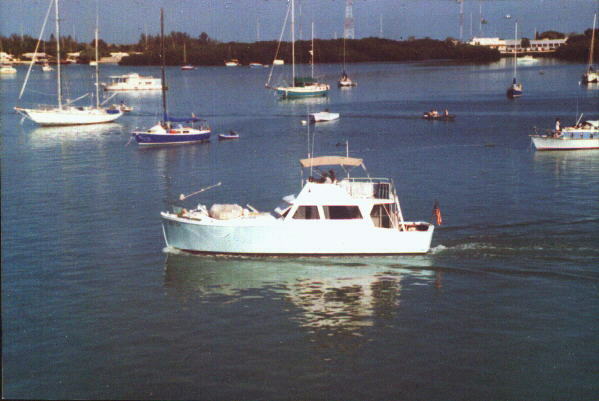 Tom is a fascinating boater with decades of experience afloat. Back in the days of sextants, Tom was serving on cargo ships taking supplies around the world. Once the vessel dropped her mooring lines and headed off-shore there was no communication possible until they made it back to port. With only their wits and fellow crewmen to rely upon, the men who made it back are nautical treasure. I enjoy sitting back while they shoot the breeze. It's fun to listen, and learn. BUT, owning 175 tuxedo shirts is not conducive to sailing. And whatever it is "worth" is immaterial. If it isn't bringing you pleasure, get rid of it. The other day I went thru my clothes. I had five skirts, two of which I didn't really like. I only wore them when I was out of clothes and so I took them to a local thrift store. Angel, who runs the shop here in Carrabelle by the waterfront now has two skirts that might suit you. And they are off the boat! Angel's store is now in the building right next to Harry's Bar and across the road from Just Right Marine. I went in for a bargain and now have a friend. Can't beat that! And her prices are affordable too. The primary problem for most folks is that disposing of the Stuff we have paid perfectly good money for is not easy. It's less complicated to accept the status quo as set-in-stone versus striking out and making a difference. You, collectively, do not need all that clutter in your lives. Make it go away! Andy, a fellow I correspond with online said it best: "It has been incredibly refreshing to live without all of the excessive trapping of a "normal" life. With so few things to clutter my space, time and mind I have found that I am much happier, calmer and stress free than I have ever been." 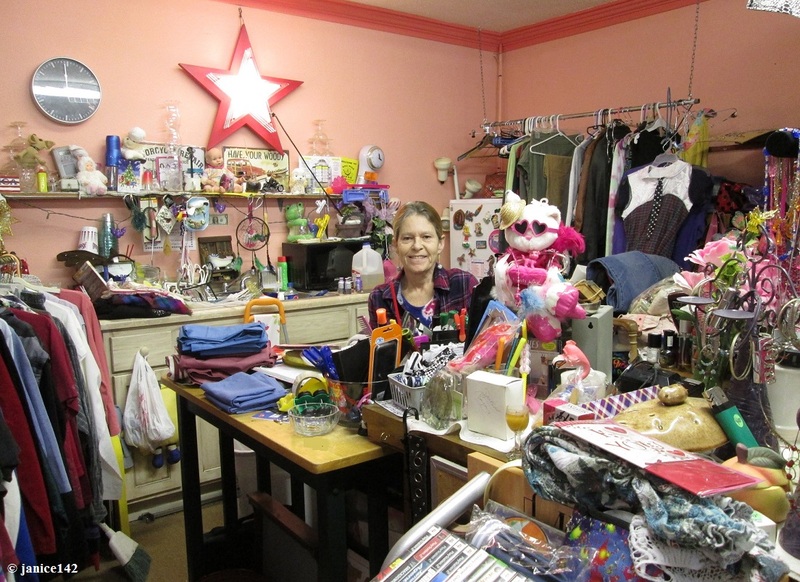 There are thrift stores galore that would welcome your donations. Having the fortitude and strength to "Just say no" to the extraneous is not easy. But you can and should do so, starting now. Try it, and I guarantee you'll be singing the praises of Less is More just like me. If a woman past the half-century mark can do this, solo, you can too. What are you waiting for? Have you passed the Hunter/Gatherer stage of life? Are you like me, in that you find this stage more fun that the previous? A favorite aphorism: What did the turkey say before it was roasted? "Boy! I'm stuffed!"